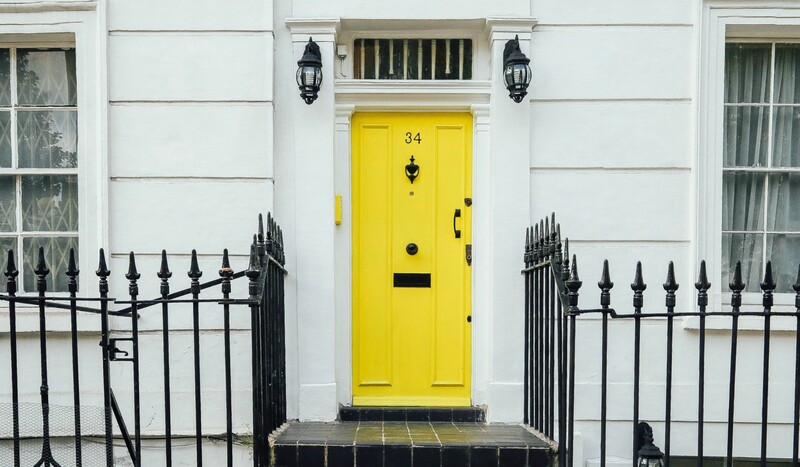 Repainting your old wooden door not only brings your home back to life, it also creates a more welcoming environment. Replace broken tiles with new rustic chic ones and add a couple of touches that show your unique style. Wooden signs, rock trails, or adding a new rug are great ways to enhance your home entrance. If you have a terrace, balcony, or any outdoor space it’s definitely the perfect season to use them. 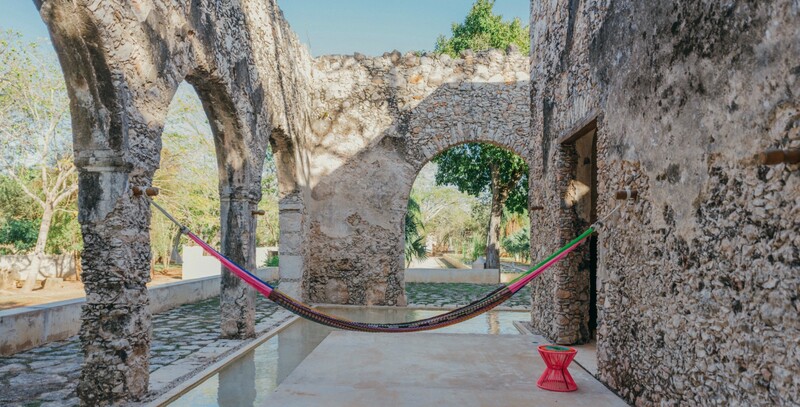 Bring out the cushions and if possible hang a beautiful hammock. Your mind will get attracted to this space and you’ll soon find yourself spending more time outside. A good way to stay fresh is to get a beautiful bar cart. Bring out some glasses, a cooler, and your favorite beverages. Make sure to place a door mat so you can go in and out of your house without causing extra cleaning efforts indoors. Do you have a plain-looking backyard? Try adding plants with colorful pots. A landscaped design with elevated pots creates points of attention that relax the mind. This season is also a good time to repaint your backyard with fresher hues. 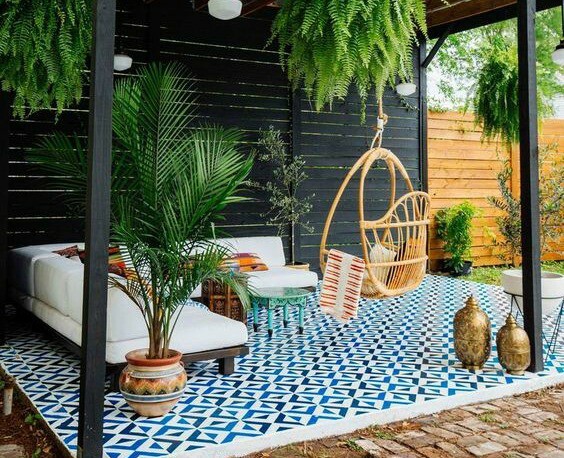 The trend for this summer is Caribbean-styled terraces; choose tropical designs and tones of blue to liven up your space. Light is a great enhancement for exteriors. 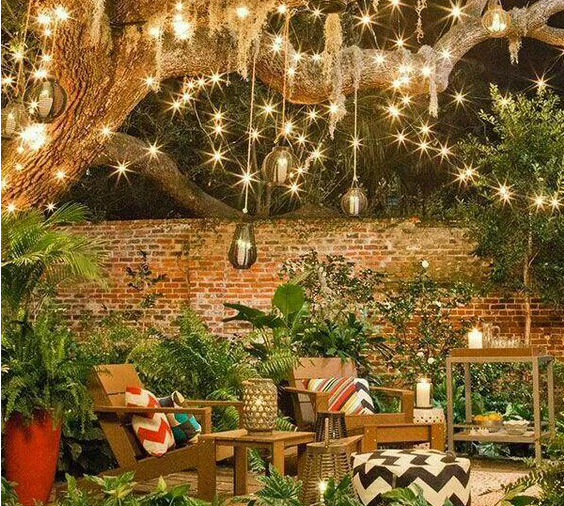 Place a line of lights along a path walk or around the edge of your garden to make the space more welcoming. Yellow dimming lights should be your top pick if you want to create a fresh environment for those warm nights, plus they just look and feel sophisticated. If you Want to keep it simple you can also hang some light cords from your trees. Placing a couple of candles will also add a nice earthy touch. Finally, if you’re going out of town, we recommend that you check out our article: How to Keep your Plants Happy While Traveling.